So at 2 am on the 30th of Decemeber 2018 we received a message from some very close friends of ours. They were on a road trip in a newly bought camper converstion which had all there kids in and there xmas presents and also there beloved dog coco. 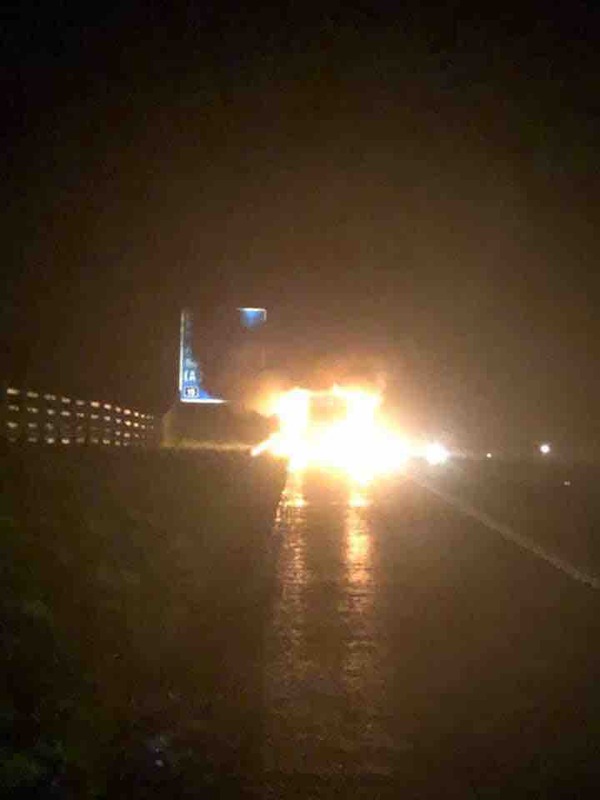 On there road trip to Scotland the van suddenly broke into flames and trapped the youngest daughter and mother in the van they made it out just in time but sadly their dog did not make it. The dog being a loyal companion got taken out the van but ran back in to save her best friends. Alot of xmas gifts gone so please people find it in your hearts to give a donation for this poor family. There insurance was only Temp cover so nothing is covered and desperatley need Car seats, clothes and much needed belongings for the children. We will purchasing car seats and much needed belongings and taking them to the family in the days ahead any money leftover will be given direct to the farrant family. Thanks for reading aimee and nick. A few more problems have occurred and we are still going to raise some more funds for the family. Just like to say thank you to everyone who has kindly shared or donated to this page, with your support the family can atleast find a little comfort knowing just how many people have shown there support with this devastating time they are facing! Please keep donating as much as you can, even a £1 donation is such a significant amount to this poor family at this heartbreaking time. R.I.P Coco, your a true hero! Thank you all so much for your kind donations, even a £1 makes a difference to this poor family!